Today is World Heart Day 2016, an annual event established to educate people on heart disease and stroke. Heart disease and stroke are the world’s leading causes of death, claiming 17.3 million lives each year. Ban smoking from the worksite. Ensure employees have access to healthy food options in cafeterias and vending machines. This may include access to healthy snacks, including fruits and vegetables. Offer opportunities for employees to be active during the work day. Allow for walking meetings, set up the worksite in ways that encourage movement such as having the printer room far away from work areas, and make it easy for workers to take stairs rather than elevators. Encourage preventive care, including medication adherence, and ensure that employees are aware of their health numbers (BMI, blood sugar, blood pressure, and cholesterol). 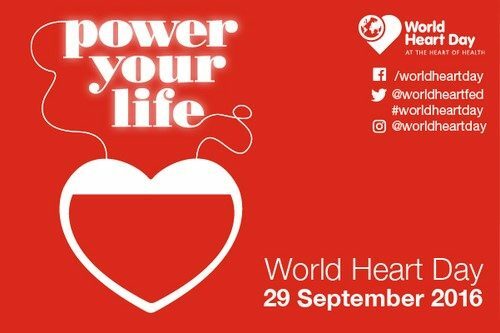 Heart disease is preventable and World Heart Day is all about calling attention to keeping your heart healthy by making a few simple daily changes. So this World Heart Day what are you doing to protect your heart and the hearts of those around you? Tweet at us @VitalityUSA for updates on what we are doing to promote heart health within the workplace!